SanDisk Corporation, a global leader in flash storage solutions, continues its momentum in the consumer SSD space by introducing two new offerings: the SanDisk SSD Plus, a 2.5" entry-level drive, and the SanDisk Ultra II mSATA SSD, a new form factor for the SanDisk Ultra II SSD product line. The SanDisk SSD Plus targets laptop and desktop PC users who want to significantly improve system performance. 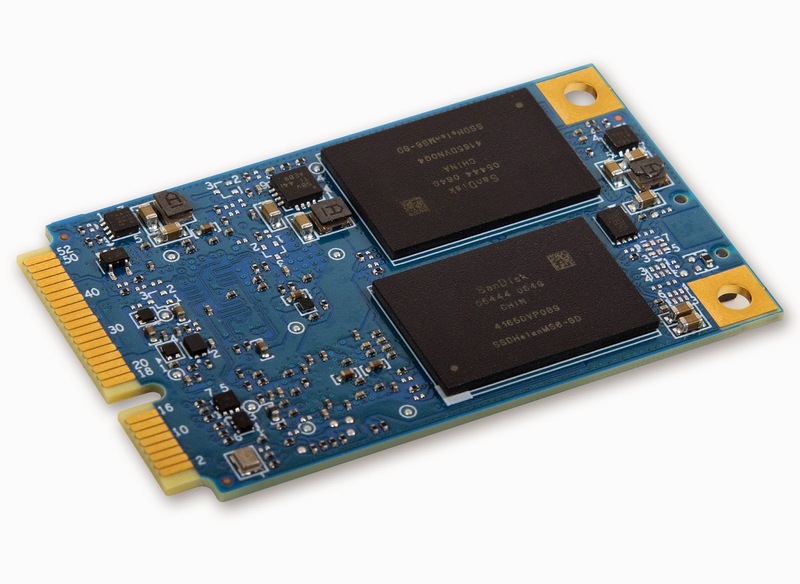 The SanDisk Ultra II mSATA SSD is for laptop and tablet users looking to increase the capacity and overall performance of their mSATA-enabled systems. The two new solutions are being unveiled at the 2015 International Consumer Electronics Show, the world's gathering place for all who thrive on the business of consumer technologies. Building on SanDisk's impressive line-up of SSD offerings, these new drives are designed to bring all the benefits of flash memory technology-faster speeds, extended battery life and upgraded systems-to users at an affordable price. With speeds of up to 23x the performance of a typical hard drive, the SanDisk SSD Plus will deliver faster boot and load times as well as better overall system performance, eliminating the need to completely replace a slow laptop or desktop PC. The SanDisk Ultra II mSATA SSD delivers competitive performance, with read speeds of up to 550MB/s, while adding up to 512GB of capacity so users can get more out of their mSATA-enabled notebooks and tablets. "Today's information-hungry, always on-the-go consumers are constantly looking for faster, better-performing computing devices that provide data in an instant, but they don't necessarily want to replace their entire system in order to get that boost," said Philippe Willams, director of retail storage, SanDisk. "At SanDisk, we are focused on providing SSD solutions that give users improved performance on their existing PC, laptop or tablet with faster speeds, greater durability and higher capacities, all with a simple upgrade from a brand they can trust." Unlike traditional hard disk drives, SanDisk SSDs deliver a low power and quiet experience, while achieving faster boot-up and shutdown, application launch and data transfer speeds1. These latest additions to the SanDisk consumer SSD portfolio also boast impressive durability. They are engineered, tested and proven to be shock- and vibration-resistant, as well as resilient to extreme temperatures, giving users the peace of mind that their drive is protected even if their computer is dropped or damaged. 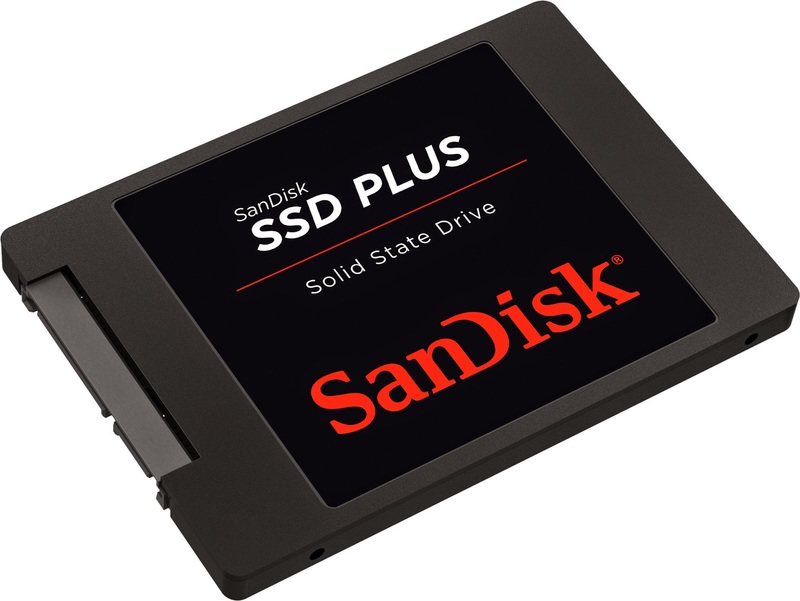 As an added benefit, the SanDisk SSD Plus and SanDisk Ultra II mSATA SSD include a downloadable SanDisk SSD Dashboard application, which provides management tools such as drive performance and health monitoring, manual or scheduled TRIM, notifications for firmware updates, and tips on how to maintain the drive at its peak operation. Additionally, the SSD Dashboard highlights a broad array of useful application offers including the Apricorn EZ Gig IV cloning software to help users easily transfer their data to the new SSD, the TrendMicro Titanium antivirus software to keep their data safe, and the Absolute Lojack software to recover their laptop if it is misplaced or stolen. The SanDisk SSD Plus comes with a 3-year warranty and will be available in Q1 2015 in a 2.5" form factor at capacities of 120GB ($69.99) and 240GB ($109.99). The SanDisk Ultra II mSATA SSD also includes a 3-year warranty and will be available in Q1 2015 in select regions in capacities of 128GB ($73.99), 256GB ($115.99) and 512GB ($220.99).